Photo by Matt Rennick. From issue 1 of dandyhorse magazine. This story is from a past issue of dandyhorse magazine. 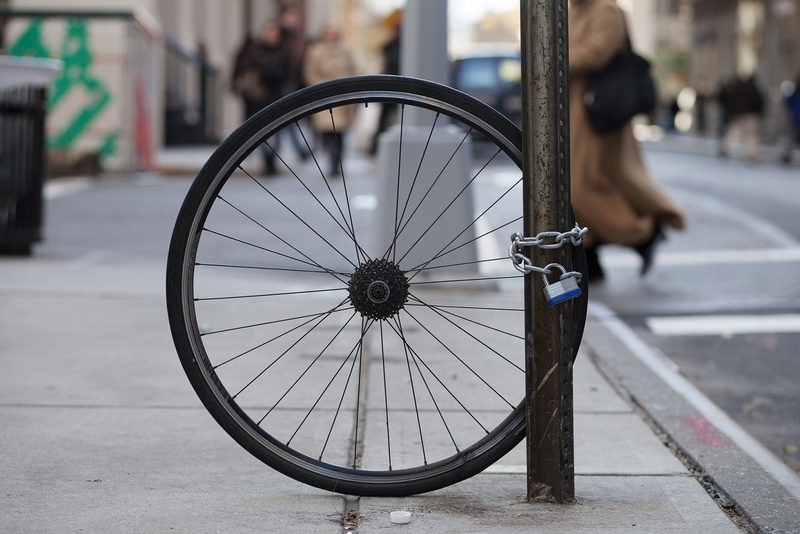 We'll be doing more stories on bike theft in Toronto stay tuned. For more past issues go here. 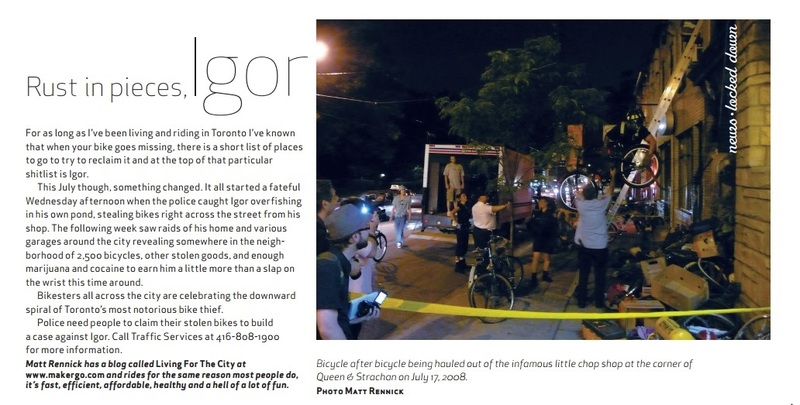 For as long as I've been living and riding in Toronto I’ve known that when your bikes goes missing, there is a short list of places to go to try to reclaim it and at the top of that particular shitlist is Igor. This July though, something changed. It all started a fateful Wednesday afternoon when the police caught Igor overfishing in his own pond, stealing bikes right across the street from his shop. The following week saw raids of his home and various garages around the city revealing somewhere in the neighborhood of 2,500 bicycles, other stolen goods, and enough marijuana and cocaine to earn him a little more than a slap on the wrist this time around. Bikesters all across the city are celebrating the downward spiral of Toronto’s most notorious bike thief. Police need people to claim their stolen bikes to build a case against Igor. Call Traffic Services at 416-808-1900 for more information.